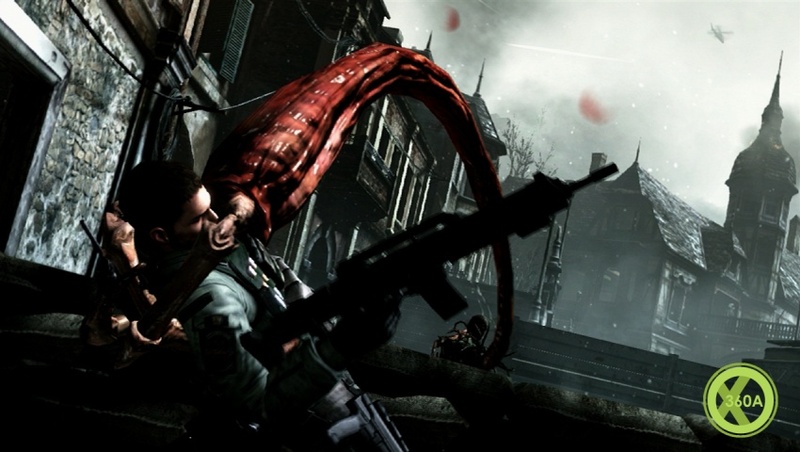 Capcom's announced a Resident Evil 6 demo for 3rd July on Xbox 360. Other platforms have to wait till September. Sold? Don't dance for joy just yet - you'll need a copy of Dragon's Dogma, out 25th May in Europe, if you want early access to the new Leon Kennedy. Stranger to Dragon's Dogma? It's a sprawling fantasy action game which sees players hunting mythical beasts with the aid of AI companions. It's got serious depth - you can completely re-customise your squad at any point, and there's a mighty open world to wander - but we're still waiting to discover whether the associated running, slicing and dicing is worth the asking price. Resident Evil 6 is a safer proposition: it doesn't seem to be turning back the clock to survival horror's heyday, but it's got three standalone campaigns, online co-op and a welter of predictably tentacle-tastic setpieces. Lovers of ripped-up B-movie tropes should be amused. Discussing the franchise as a whole, Capcom has said it's eager to seduce Call of Duty's customers. How do you like your zombies? Shambolic and dim-witted, or mobile and adaptable? Capcom has released a bevy of new Resident Evil 6 details over at Capcom Unity, touching on the game's characters, setting and enemies. A few basics to start us off: this won't be your classic, fire-from-standstill Resident Evil. Players can move and shoot simultaneously, take cover behind objects and perform evasive rolls. OK, none of that's exactly rocket science post-Vanquish, but it's nice to know we can back away from things while we're blowing them to hell. 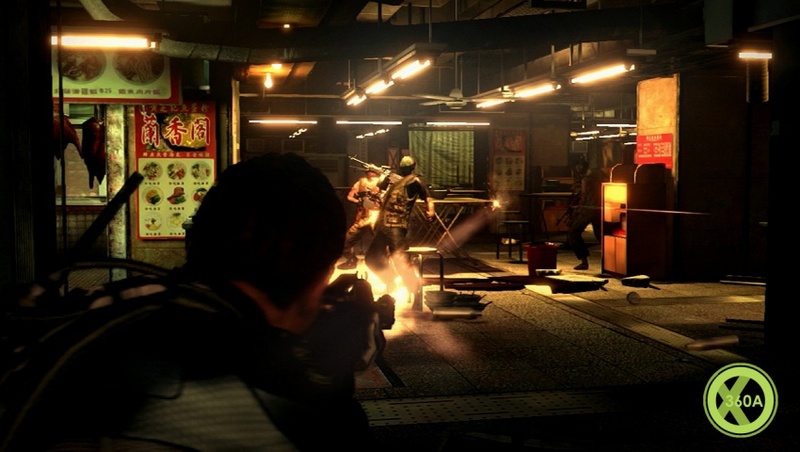 Resident Evil 6 begins a few years after the events of Resident Evil 5. Among other blighted locations, it'll take you to the fictional coastal town of Lanshiang in China. That's Chris Redfield's beat - on the strength of the trailer, Leon Kennedy will spend most of his time gunning down elected officials in North America. There are new zombie types (or "BOWs", as Resident Evil loremasters may prefer), including leaping undead and the J'avo - more evolved super-zombies who can understand speech and coordinate their attacks. Blast one of these suckers and it'll regenerate, but doing so risks further mutation. Remember that bit in the trailer when Chris Redfield gets hoisted from cover by an undead Mr Fantastic? Yeah, that was a J'avo. The name means "demon" in Serbian, apparently. There are a few quick notes on some of the game's characters. 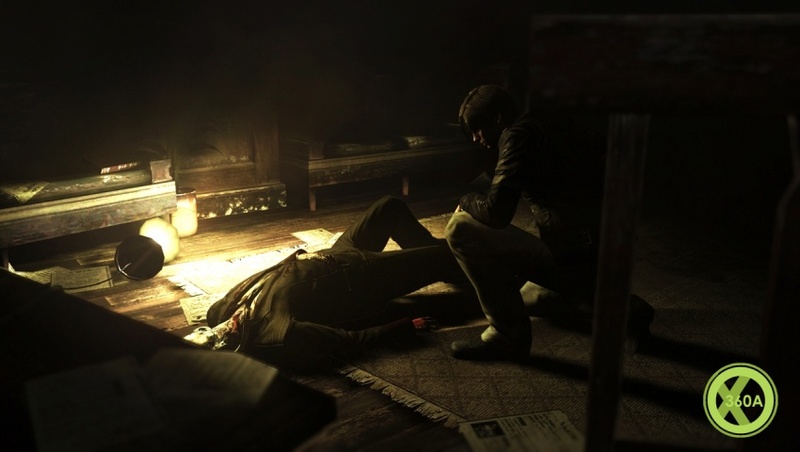 After the Raccoon City Incident, Leon was recruited into government service by one Adam Benford, who would go on to become the current in-game President of the United States. Since those horrific moments at Raccoon City, he's dedicated to the cause of confronting bioterror wherever it lies. Another government agent who was just about to become part of the Secret Service. All we really know about her is she regretfully claims to be responsible for the latest outbreak. Part of the bioterror incidents from the very beginning, Chris continues to take the fight to the frontlines. 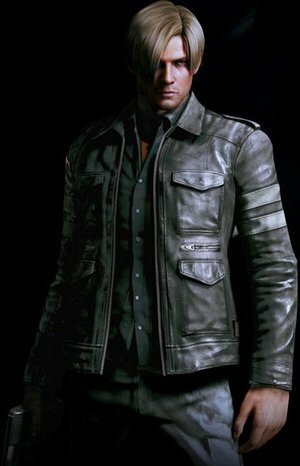 Some kind of personal trauma, which takes place prior to RE6, haunts Chris, though he's committed to protecting Lanshiang and serving in the BSAA. Eagle-eyed fans probably spotted Leon's helpful Field Operations Support officer in the trailer. Ingrid continues to aid Leon in his mission. The current President of the United States. Though he's a zombie now, so he's probably not up to much. This is "just the tip of the iceberg" for Resident Evil 6, with several months remaining till release. We'll keep you posted. There's a demo coming in July, providing you invest in a copy of Dragon's Dogma. Capcom's Christian Svensson has said Resident Evil 6 is off to a great start, with early pre-order numbers topping all of the previous entries in the much loved survival horror series. Speaking to GameInformer, the senior VP of strategy was asked about the timing of the Resi 6 announcement, which coincided with the release of Resident Evil: Revelations for the Nintendo 3DS and in the thick of Resident Evil: Operation Raccoon City promotion. He replied by saying the decision was intended to raise overall awareness of the series, and record pre-order numbers are an indication that the strategy worked. "Our pre-orders for Revelations and Raccoon City were both helped on an upward spike with the announcement of Resident Evil 6. The pre-orders for Resident Evil 6 are off to a fantastic start. 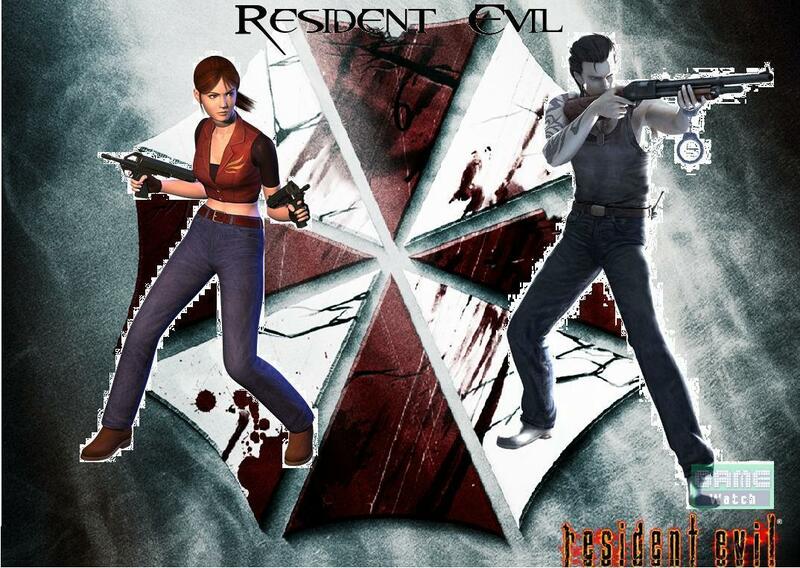 The best start a Resident Evil game has ever had," he explained. The Capcom exec went on to justify the early November 20 release date announcement for the title and said it isn't worried about other big games launching in the same period. "We're saying, 'Get the hell out of the way.' We're a big game. We're letting you know we're coming. We're giving people plenty of room to move around us. The other part is the nuts and bolts of it. If we put our stake in the ground, we can start lining up retail channel promotions, etc." GAME and Gamestation won't be stocking Capcom's Resident Evil: Operation Raccoon City or Tecmo Koei's Ninja Gaiden 3 and Warriors Orochi 3 when the titles launch later this month. "We need to keep going in the action-oriented direction." The survival horror market is too small for Resident Evil, Capcom has admitted. That's why the series has, and will continue, to branch out into more action-oriented areas, Resident Evil producer Masachika Kawata told Gamasutra. "Especially for the North American market, I think the series needs to head in that [action-oriented] direction," Kawata said. "[Resident Evil's primary games] need to be an extension of the changes made in Resident Evil 4 and Resident Evil 5. "RE4 started in that direction, and RE5 kept going in that direction. And I think that especially for the North American market, we need to keep going in that direction, and take that a step further. And that's exactly one of the reasons that [3DS game] Revelations is the way it is." Resident Evil's evolution from tense, survival horror thriller into over-the-top third-person action territory began with the release of Resident Evil 4 in 2005. Resident Evil 5, released in 2009, went one step further. Now, series fans are faced with multiple Resident Evil games, including third-person shooter Operation Raccoon City, the first Resident Evil to be developed outside Japan. Why the change? Kawata said sales of survival horror games can't compete with those of the industry's big-hitters, such as Call of Duty. "Looking at the marketing data [for survival horror games]... the market is small, compared to the number of units Call of Duty and all those action games sell," he said. "A survival horror Resident Evil doesn't seem like it'd be able to sell those kind of numbers." What does this mean for Resident Evil 6, due out later this year? Will it be the most action-oriented game in the series so far? "I can't really speak for Resident Evil 6, but I don't think that it necessarily has to go all the way in that [action-heavy] direction, the Call of Duty direction," Kawata said. "It doesn't have to be a straight up shooter. But my impression is that Resident Evil 4 and 5 aren't shooters, per se." Despite the need to sell more units, and thus the need to move away from survival horror, Kawata said there are opportunities for Capcom to satisfy fans who still hunger for the franchise's old school gameplay. "So we have our numbered series, and we can say we have a more adventure-oriented version, like a Revelations-style game. And we also have Operation: Raccoon City, which is a third-person shooter. "So I think that by extending the market in this sense, we can still have the numbered titles keep their identity about what Resident Evil is supposed to be, but still expand and hit other markets as well." Either way, according to Kawata, a good game is a good game, and should sell off the back of its quality. "If you're going to be selling a game based on its good gameplay, then you don't have to worry about the market in which it will be sold," he said. Here, targeted marketing takes over. "If we're going to make games that sell based on quality content, they should be able to appeal around the world. That might be obvious, but that's why Grand Theft Auto IV, Skyrim and Call of Duty: Modern Warfare also sell in Japan, because their gameplay is interesting." Resident Evil 6 is having its release date brought forward to early October, with a demo of the latest in the survival horror series coming early this summer. Originally slated for worldwide release on November 20 this year, it's now due out on October 2. "First, let me say that we're not really afraid of other companies and their titles," Resident Evil 6's executive producer Hiroyuki Kobayashi told Eurogamer when asked if there was any game in particular that had prompted the change. 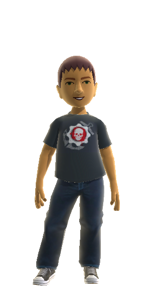 "The problem for us is when we brought this idea to the dev team and told them they'd have to cut some time off of their dev cycle to put this out early - that was the scariest thing, not the fear of other company's games." "After we announced the game back in January, the reaction from fans was pretty impressive," continued producer Yoshiaki Hirabayashi. "In response to that, we decided that we wanted to get this game in people's hands as soon as possible." A demo will be released later this year, with those who buy Capcom's forthcoming RPG Dragon's Dogma getting early access. A token will be included in all new copies of the game upon its release on May 25 (May 22 in America) with the demo being made available for download on July 3 on Xbox 360 and September 4 on PS3. Resident Evil 6 introduces multiple playable characters to the series, each with their own distinctive style of play. Capcom has announced the Resident Evil 6 Premium Edition, one of the most expensive video game special editions of all time. Currently limited to Japan, the Resident Evil 6 Premium Edition will cost 105,000 yen. The Premium Edition includes the game, a set of four case covers and, best of all, Leon Kennedy's funky new leather jacket (now available to pre-order in Small, Medium, Large and Extra Large sizes), reports Siliconera. Leon is set to model a dark and rugged looking number in Resident Evil 6, with a dashing looking collar and pockets to spare. It's far removed from the snug fleece-lined coat he wore in Resident Evil 4. Each of the Premium Edition's case covers will sport one of the protagonists revealed thus far: Leon, Chris Redfield and Wesker offspring Jake Muller. The fourth cover features a "secret" design yet to be revealed. Hmm.